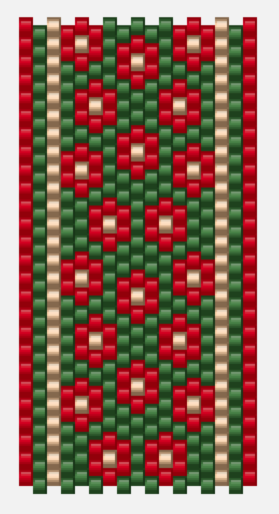 A floral pattern in Christmas colors for Free Pattern Fridays. It is 18 beads wide, repeating, and would look very nice with silver in place of the gold. Click image to enlarge, then right-click to save. I think this would be lovely with a beaded poinsettia attached. Happy beading!